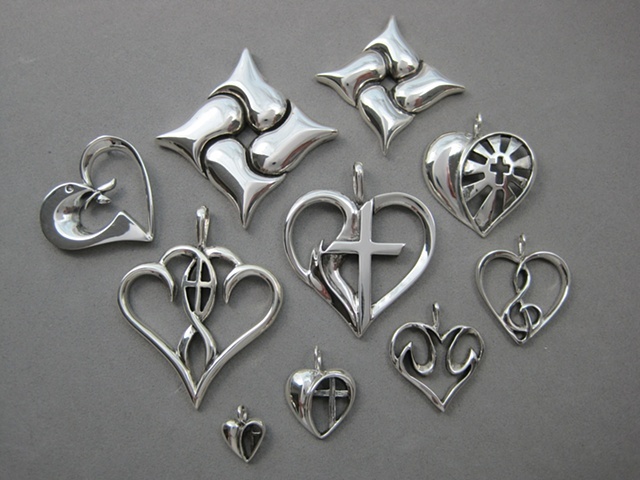 I started my line of Christian symbol jewelry in 1988 with a heart theme. Many of these early designs incorporating symbols within hearts are shown in this grouping. Names and links to these pieces with more info are below.